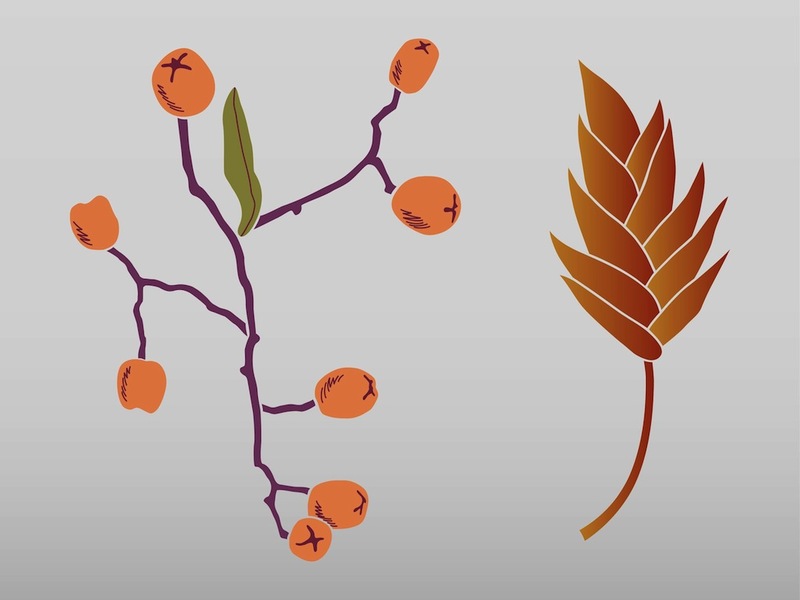 Nature vector graphics of autumn plants. Branch from a tree or bush with small round fruits on it and a gradient color leaf in warm tones. Cartoon style of the nature illustrations. Free vector graphics for all nature, autumn, fall, seasons, plants, leaves, trees, fruits, forests and parks design projects. Tags: Autumn, Branch, Fruits, Leaves, Plants, Seasonal, Seasons.